Enough good material for you to want to return to this album frequently. 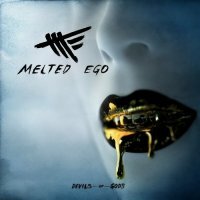 Melted Ego is a Metal band from Germany; the title 'Devils Or Gods' gives you an idea of where we are going musically. Latter-day Metallica is the influence throughout 'Mud Stain', the music is hard grinding Metal showcasing Melf Hartwig's uncompromising chops. His vocals carry the chorus of the brutal title track 'Devils Or Gods' to great effect and the lyrics have a painful yet hopeful tone to them. The semi-acoustic offering of 'It Blows Me Away' sounds like it is only there to vary the pace of the album, sticking out like a sore thumb. Sometimes simplicity can be the strength in a song, 'On My Own' taps into this and offers a straight-ahead Rocker that has Hartwig shedding new light on his voice. I enjoyed the razor-sharp riffs of 'Broken Heroes', it's a solid but unspectacular head-banger in the style of latter day Saxon. 'Everytime' is super-slick in its delivery and has one of the best choruses on this release. For sheer monolithic guitar grooves you have to turn to 'Living Dead', it is super depressive and quite addictive in equal measures. Keeping the song countdown to nine tracks serves Melted Ego well. There is little time to be distracted but enough good material for you to want to return to this album frequently.